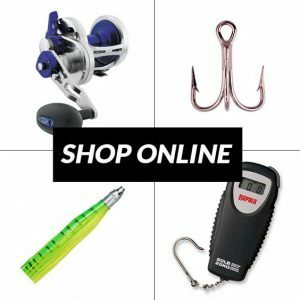 Visit our online stores to find all the gear you need. Here you can find anything from gear to gift cards. We have created KingfishZone to fulfill a need for our local fishermen to ensure they had the right lures, rigs and tackle to target these very fast fish! Catching a Wahoo is an exciting experience! From the moment the fish hits and the reel begins to scream, you will feel the adrenalin until you bring these great game fish to the boat. Unsure of what to get the outdoor enthusiast in your life? 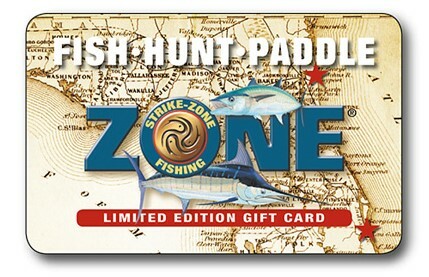 Make gift giving easy with a Strike-Zone Fishing Limited Edition Gift Card. Perfect for the one you love who loves the outdoors! Available online in $25, $50, $75, $100, $250, or $500 increments. Purchase a gift card from our online store!